Collectables, Antiques,Dolls, Everyday Household Furnishings. Antiques, Large Vintage Clock Collection, Ornate Furniture. Estate Sale - Moving - or just downsizing. We Are People Who Care About your estate and liquidation needs. We pride ourselves on being professional appraisers and liquidators of personal property, specializing in antiques, collectibles, decorative arts, residential contents, and business assets. 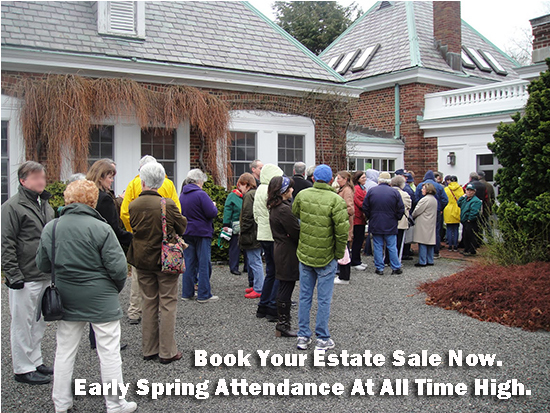 Our company offers Estate Sale Services prepared by professional, qualified and experienced personnel. We specialize in the accurate and fair appraisal of furniture, china, crystal, silver, textiles, and decorative arts. We also provide professional estate sale management services. Our mission is to bring these services to the Michigan area with competence, professionalism, and integrity. Headquartered in Flint, MI, we service clients throughout the complete State of Michigan. Our team follows the established code of ethics of the Certified Appraisers Guide of America. When selecting a firm to conduct the sale of your estate or business assets, consider the fact that if you select Michigan Liquidators, a team of professionals will evaluate each of your items! The inventory will be tastefully arranged and appropriately tagged using the latest in technology for pricing, inventory and advertising. This helps you, the client, have a broader buying audience. There is a great deal of work involved in a successful Estate sale or Commercial Liquidation and our experience makes all the difference.